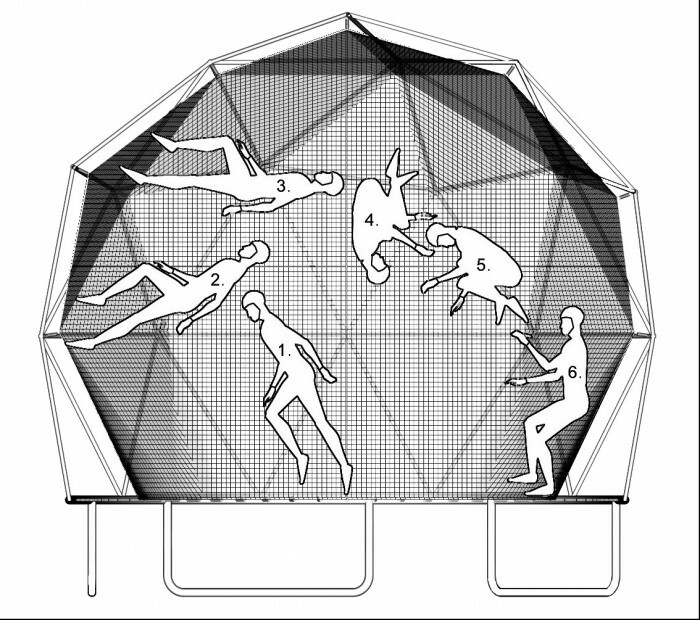 GEODESIC DOME TENT, 3D TRAMPOLINE PLAY STRUCTURE. 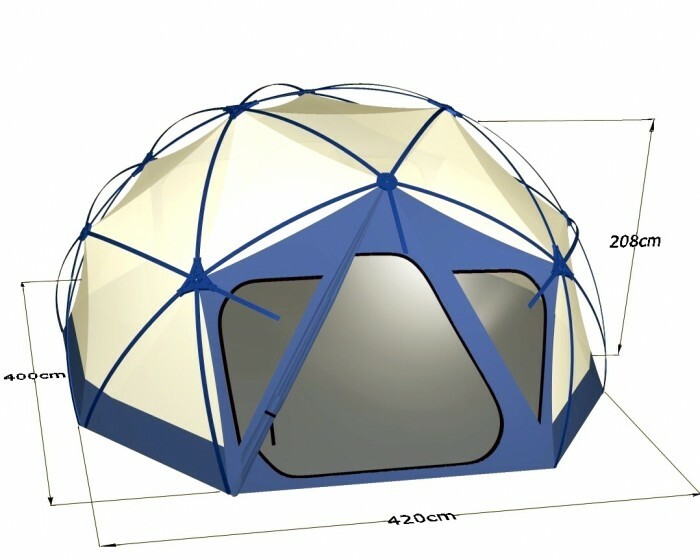 A domed structure (500) comprises a plurality of struts (505) of equal or a reduced number of differing lengths. The struts are held in place by hubs (510, 515, 1400). In one aspect, a first hub secures the ends of inserted struts at a constant distance from its center, while other hubs secure the ends of inserted struts at predetermined distances from their centers. The differences between the various predetermined distances is the difference in strut lengths required by the design of the structure. Thus all struts are of equal length and identical, or a reduced number of lengths, resulting in an economy of scale and ease of construction. 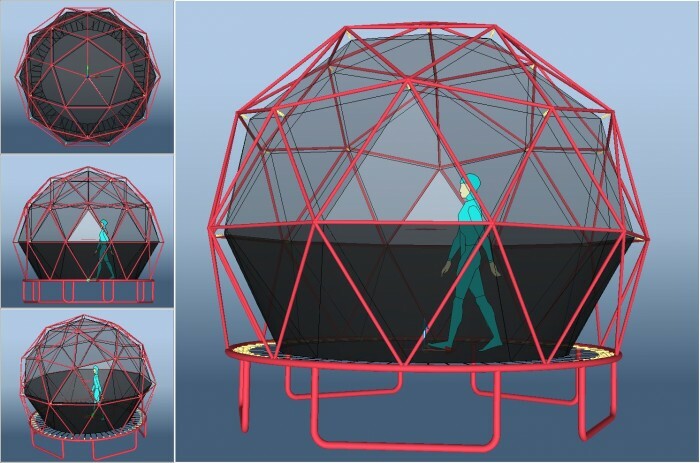 A cover can be added after the structure is built. 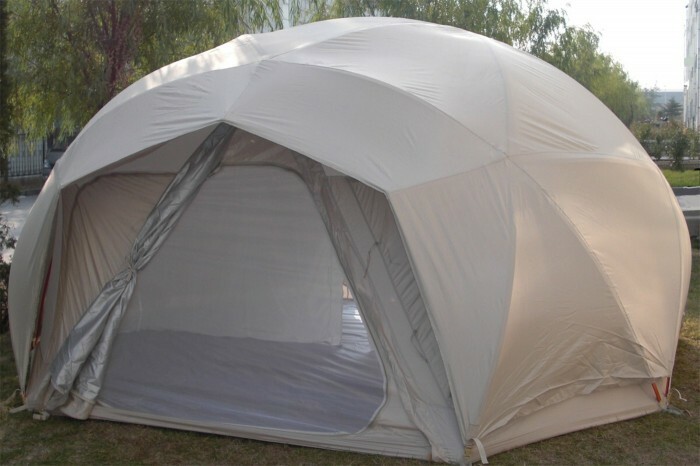 Alternatively, the hubs can be sewn into a fabric or plastic cover for further ease of construction. The struts can be glued in place, or removed from the hubs to disassemble the structure. 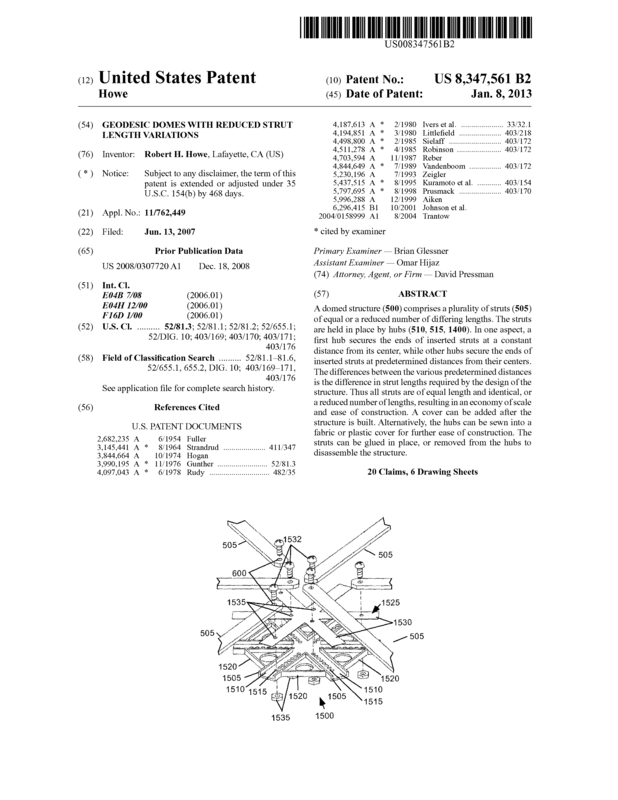 Page created at 2019-04-25 10:03:39, Patent Auction Time.